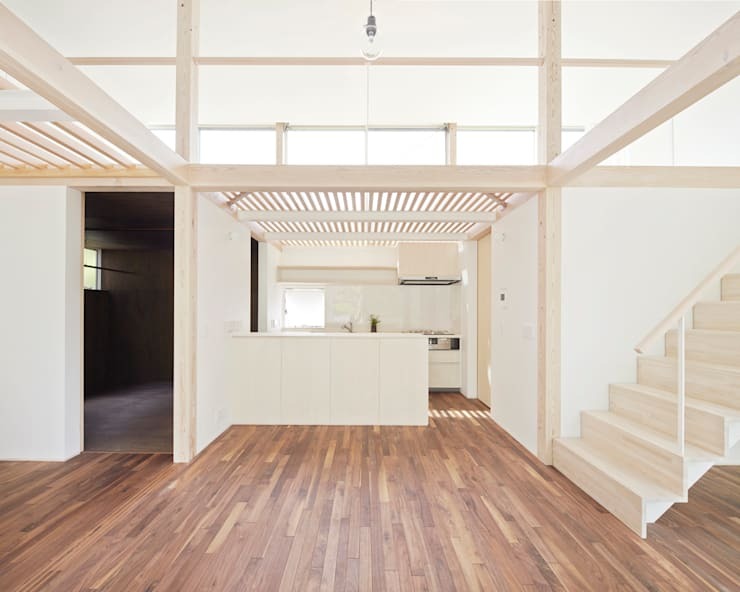 The whimsical little Japanese home we will explore today offers a whole lot of light and space for just 49 square metres. 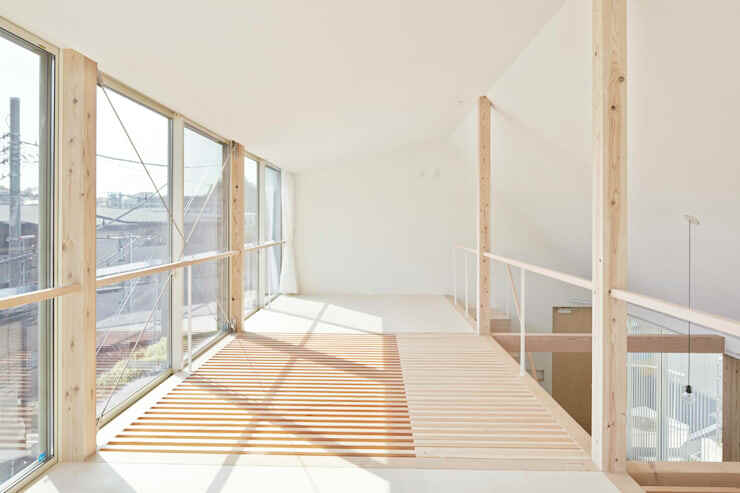 The little freestanding home is situated on an odd-shaped block of land in Kanagawa Prefecture, a coastal area just south of Tokyo. The area is popular for day-trippers from Tokyo and land is still at a premium here. So every inch of the odd-shaped block has been carefully utilised. It may have been tempting to think small when they first approached a block of this size, but the architects came up with a spacious and innovative layout. The materials, layout and addition of a mezzanine show how perfectly open a little home can feel with great design. There's nothing box-like about the feel of this place and it possesses an abundance of spirit and individuality. So, after giving due credit to the designers Shirarchi Architects, we will get on with exploring this fabulous little Japanese home. We hope you enjoy the tour! The property is perched right on the edge of a sloping street and an intersection. This obviously created potential issues with privacy and noise. While there isn't a lot to be done about the distance from the road, the architects could design something with a strong psychological barrier. As we can see here, they orientated the home to face the left hand side of the block. This also created a view of some natural greenery. They also built the ground level up and created a winding staircase so there is no direct line of sight from the street to the interior of the home. The architects did a great job of creating privacy by re-orientating the house and eliminating windows from the front facade. With these choices, the facade could have looked a little like a fortress. 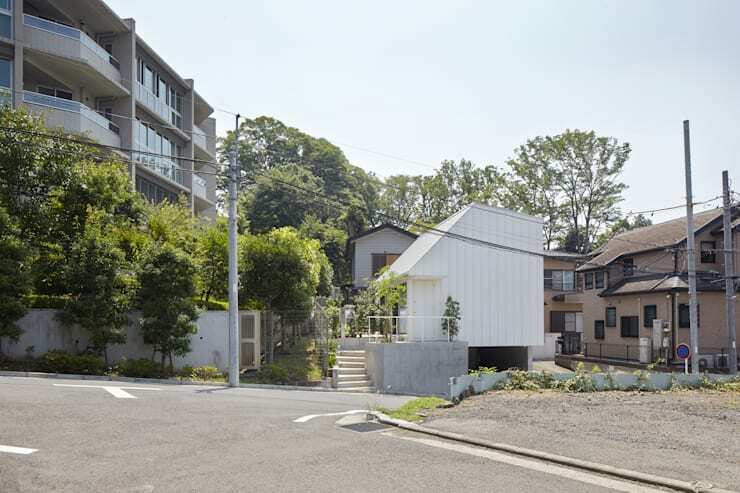 To counterbalance the potential issues, they chose white timber cladding and a peaked roof. This adds a warm, homely ambiance to the exterior. On entering the home and rotating around, we can see the bright, natural backdrop of the entrance. Here we have the green views mentioned earlier. We also have the strong vertical lines that run over the ceiling, floors and window shades. They are parallel, yet composed of varying widths. There is uniformity, but interest. Note how important the use of a single material is when creating a sense of open abundance in a small space. 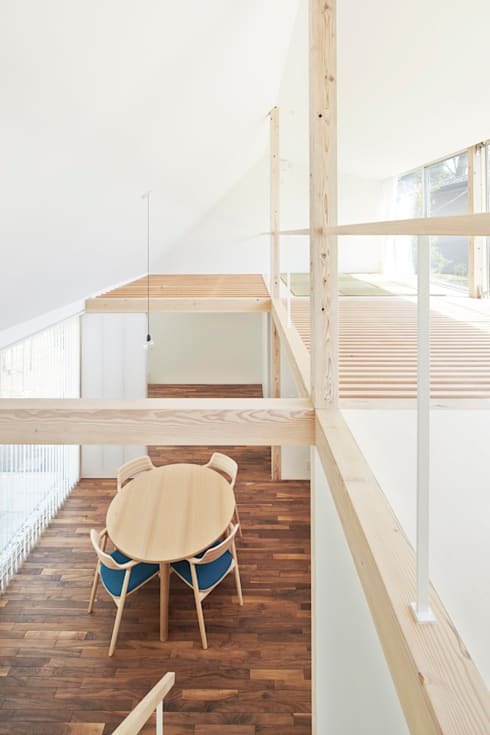 The unusual shape of the roof allows for a portion of the double-height room to be used as a mezzanine. We will explore a little more from the upper level. But for now, we will note the minimalist white kitchen, walls and staircase in pale wood and white walls. The open-plan space has a vibrant, almost Scandinavian-style minimalism. As we move up the staircase, we have a better view of the various cross beams that make up the upper level. Part of the roof to our right has been utilised as a mezzanine. But the other side has been left clear to accentuate the bright, open feel of the home. This feel is very much defined by the flooring used on the upper level. 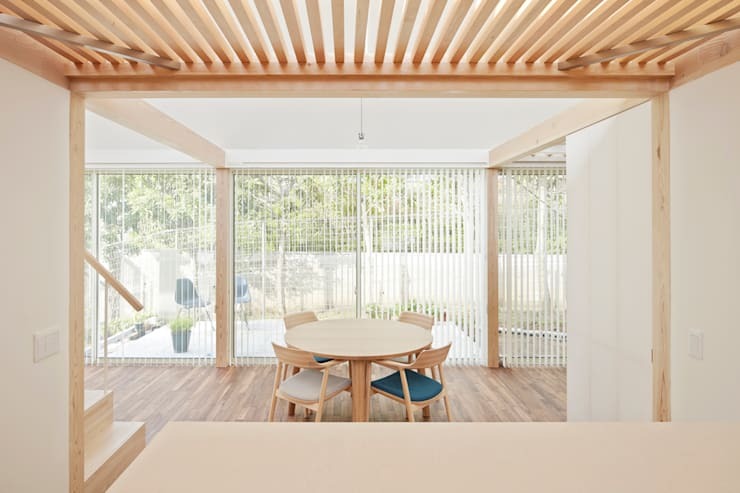 Light constantly flows between the two spaces as it moves between a mixture of open and closed timber beams and slats. For a tiny home, this place certainly has a bright, elevated feel. Here we have the floor to ceiling glass walls, the floor slats and a view of the coastal city. The timber has a raw, unfinished quality that may reflect the traditional Japanese aesthetic of wabi-sabi. 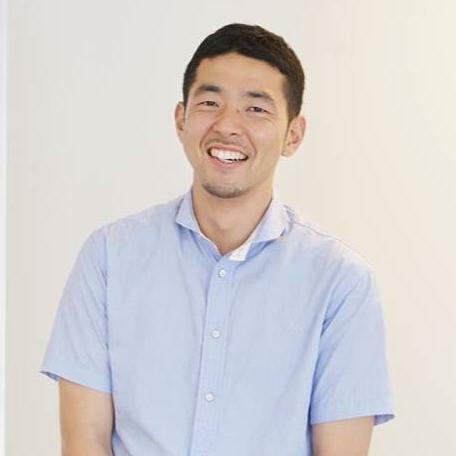 There isn't any furniture either, but this is not uncommon in a minimalist Japanese home. We will finish up our tour with a stunning view of the ground floor. The dappled wood floor possesses a whole lot of natural variation and texture. This home may be minimally furnished and small by some standards, but it's rich in spirit. It possesses an inspiring mezzanine level, peaceful green space, privacy and a connection with the natural elements. In short, it's the perfect little urban home. 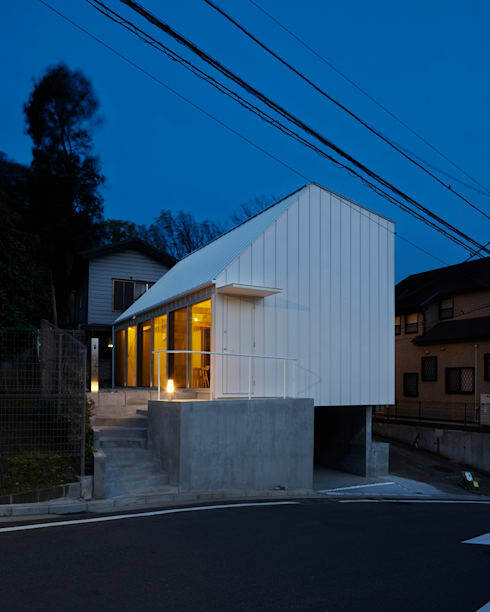 Want more Japanese architecture? 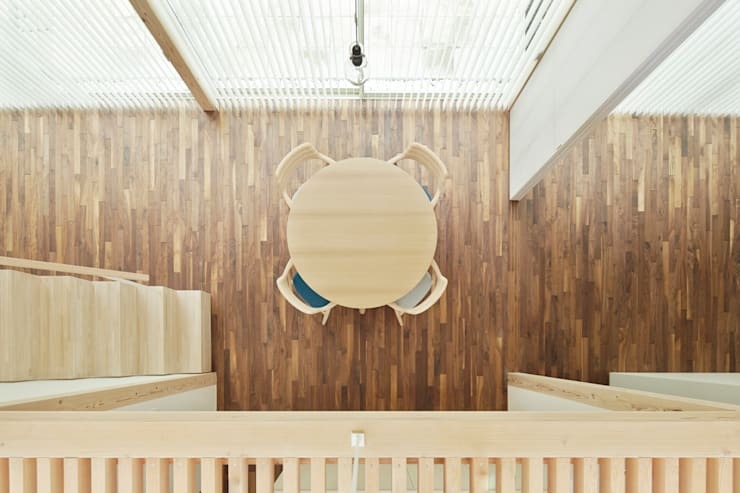 You'll love homify's Japanese Geometric Beauty Ideabook! What do you think of this wonderful wooden interior? Can you imagine living here? Let us know in the comments!